Student volunteers from UNIST and POSTECH are posing for a group photo during the rural community outreach project. 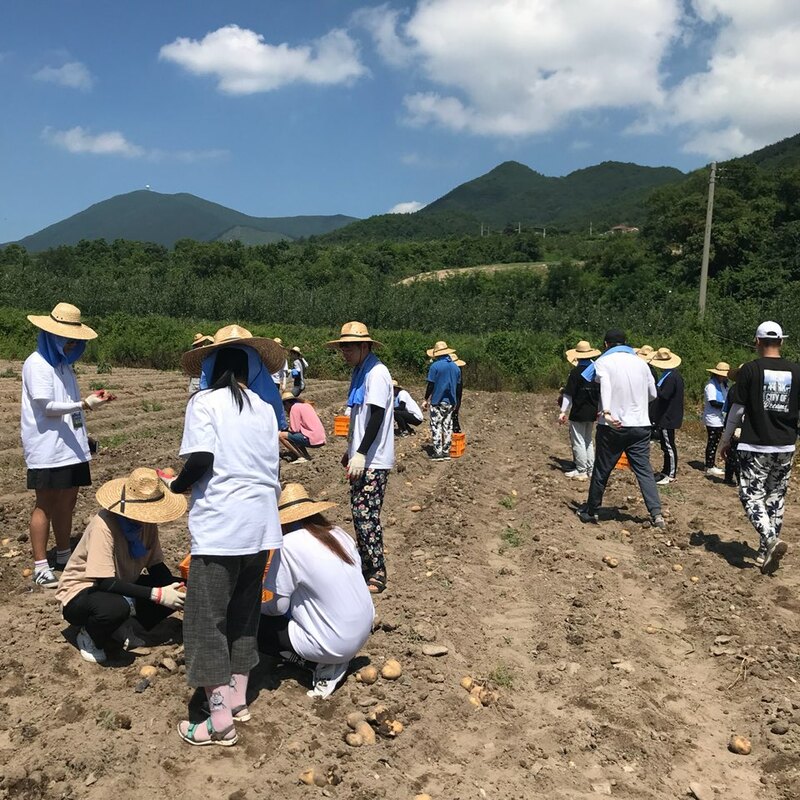 Local farmers of Jukjang-myeon in Pohang and the surrounding areas found that they could count on a little extra help last week, thanks to the students of UNIST and POSTECH. Organized by both the UNIST and POSTECH student councils, approximately 47 student volunteers spent three days at Eco-Village in Pohang city from July 20 to 22, 2018. Volunteers were involved in all aspects of day to day farming, including fruit thinning, and harvesting. They also spent some time picking up trash, pulling weeds, and removing invasive species to help their local farms. In the process, these student volunteers also spent some time making connections and building social networking with rural farmers. 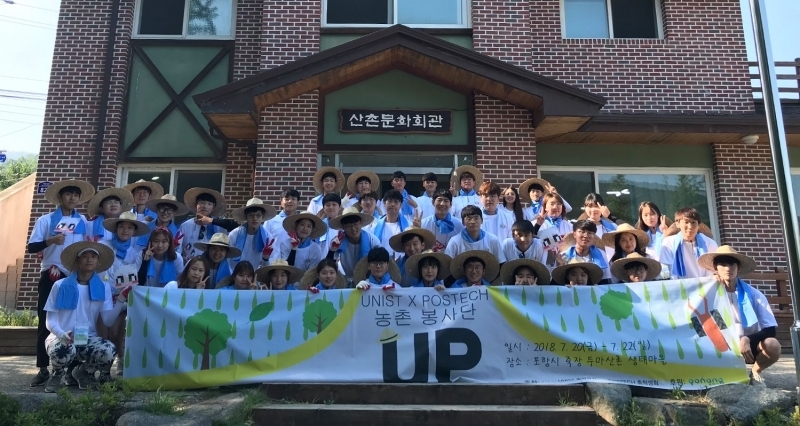 Launched in 2013, the primary purpose of this annual UNIST-POSTECH Rural Community Outreach Project is to provide meaningful learning opportunities, as well as to help students appreciate the value of charitable giving that is voluntary, rather than obligatory. “Especially with the recent heat waves, volunteering at the farm felt much harder than anticiapated but after all, it was rewarding,” says Jong Min Lee in the School of Urban and Environmental Engineering at UNIST. Student volunteers of UNIST and POSTECH are picking the leftover potatoes from a harvested field. Students of UNIST and POSTECH during the rural community outreach project in Pohang.